Forensic Nurses have changed the way health care meets the needs of victims and perpetrators of trauma and violence when they access the system. The changes that have occurred over the past two decades have positioned forensic nurses to be key experts in the fields of nursing, violence, trauma and crime. As the role of forensic nurses evolves, their role will continue to change health care nationally and internationally. Join us for a webinar to learn about the ways in which forensic nursing has made an impact on the Canadian health care system, the future challenges and opportunities for the role of the forensic nurse and the World Health Organization 2016 Global Plan of Action to strengthen the role of the health system in violence interventions. To increase participants’ understanding of the contributions of forensic nurses within the Canadian health care system and the future challenges and opportunities for this role nationally and internationally. Identify key ways in which forensic nurses have impacted health care within the Canadian health care system. Articulate the challenges that exist for this evolving role. Identify key opportunities for forensic nurses in Canada. Articulate the ways in which forensic nurses will contribute to global health. 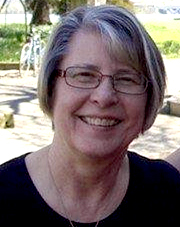 Sheila graduated from the University Of Saskatchewan School Of Nursing and has four decades of experience in health care. She is currently faculty within the Forensic Science and Technology Program at BCIT, acting as Coordinator/Instructor in the Forensic Health Sciences (FHS) Option. Sheila also practices as a legal nurse consultant and educator. She has been known as a top leader in the field of forensic nursing where she developed the first sexual assault nurse examiner program in B.C. in 1992, performed the first medical forensic examination by a B.C. nurse examiner in 1994 and developed the first Canadian classroom curriculum for forensic health care in 2005. Sheila has also provided the initial education for sexual assault nurse examiners across many Canadian sites and has provided continuing education both nationally and internationally. Her 2016 publications include the Forensic Nursing Chapter in "The Lawyer's Guide to Forensic Sciences", a Forensic Nursing article in Journal of Legal Nurse Consulting (USA), and a co-authored Forensic Evidence Chapter in "Sexual Victimization across the Lifespan. ".